In cases involving a tort or contract, certain actions of an agent can cause the principal to be vicariously liable for the actions of the agent. In most instances, an assertion will be made that the agent had actual or apparent authority to act on behalf of the principal. This can be a critical issue in an employer/employee context. Therefore, it is important for an employer to clearly delineate the scope of responsibilities and authority that an employee is given. The recent opinion, Kwik Industries, Inc. v. Rock Prairie Holdings, Ltd., No.05-13-00054-CV, WL 1449902 (Tex.App.—Dallas, March 30, 2015), issued by the Fifth Court of Appeals in Dallas County, discusses general agency principles. At the crux of this litigation, especially the Willis’ claims, was whether or not Gary Henson was an agent on behalf of the Defendants, Kwik and Ellis. Id. at *3. Generally, an agency relationship is not presumed, but the party who alleges an agency relationship has the burden of proving such relationship. Further, the question of agency is usually a fact question; however, the question of whether a principal-agent relationship exists under established facts is a question of law for the court to determine. Id. Additionally, “an agent’s authority to act on behalf of a principal depends on some communication by the principal either to the agent (actual or express authority) or to the third party (apparent or implied authority). Absent actual or apparent authority, an agent cannot bind a principal.” Id. Actual authority is authority that a principal (1) intentionally confers on an agent, (2) intentionally allows the agent to believe he possesses, or (3) by want of due care allows the agent to believe he possesses. Id. at *4. This authority can be implied from the conduct of the parties or from the facts and circumstances surrounding the transaction. But, this authority cannot be based merely on the words and deeds of the agent. Id. Courts will also look at the actions of the principal, whether or not there is written evidence conferring authority onto the agent, and/or testimony from the principal regarding the agent’s scope of authority. Id. Apparent authority is created by written words, spoken words or conduct by the principal to third parties and not by conduct to the agent. Apparent authority arises either from (1) the principal knowingly permitting an agent to hold himself or herself out as having authority or (2) by a principal’s actions, “which lack such ordinary care as to clothe an agent with the indicia of authority,” which leads a reasonably prudent person to believe that the agent has the authority that he or she purports to have. Id. In determining whether an agent has apparent authority, the court does not look at the words or conduct of the agent; instead, the court considers only the words or conduct of the principal. Id. at *6. Therefore, it is extremely important especially in the employer/employee context, that a principal clearly delineates an agent’s scope of authority to both the agent and/or third parties. In the underlying proceeding in Kwik, the two groups of Plaintiffs asserted claims of fraud, fraudulent concealment, conspiracy and violations of several statutes in connection with a dry cleaning service (the Willis claims) and an automobile lube/tune service facility (the Lofton claims) against Kwik Industries and Ray Ellis. The trial court granted a partial directed verdict dismissing the Willis claims and some of the Lofton claims. The remaining Lofton claims went to trial where a jury found that Kwik and Ellis committed fraud. The Plaintiffs for the Willis claims appealed the granted directed verdict, the Plaintiffs for the Lofton claims appealed the directed verdict on their fraud by misrepresentation and fraud by concealment claims, and the Defendants (Kwik Industries, Inc. and Ray Ellis), appealed the trial court’s denial of their amended motion for judgment notwithstanding the verdict, and their alternative motion for new trial based on their contentions that there was no evidence to support the jury’s verdict. Id. at *1. 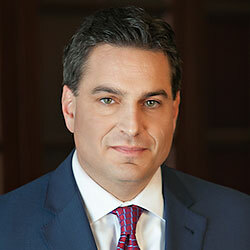 The Fifth Court of Appeals affirmed the trial court’s judgment regarding the Willis claims, affirmed the trial court’s judgment with respect to the Lofton’s claims brought on appeal and reversed the trial court’s judgment with respect to Kwik and Ellis. Id. at *12.